The Giver is set in a type of utopia. It is about an isolated community devoid of feelings and memories. There is one person however that has all the world’s memories. The Receiver of Memory. The most honorable job in the community. At the Ceremony of Twelve, Jonas is selected to be the Receiver. Jonas has to bear the pain and joy of all the memories passed down from the previous Receiver. The more memories Jonas receives, the more he wonders why his community has removed these things from people’s lives. Jonas and the previous Receiver, the Giver, come up with a plan to give the memories back to the community. The Giver has a map of what lies beyond the community, so they use that to plan Jonas’ escape. Once Jonas passes a certain line beyond the community, the memories will be released into the community. Color and feelings will go back to all the citizens in the community. Shortly before his escape, Jonas learns how a Release is actually done. Jonas always thought that the person being released would be taken Elsewhere. It turns out that being Released means to be killed. A new child Jonas has grown close to, Gabriel, is being Released soon, so Jonas decides to take Gabriel with him to save Gabriel. On the night of his escape, Jonas stops by the Nurturing Center, takes Gabriel and leaves the community, starting his journey to the boundary. Jonas takes a bicycle and rides all day, resting at night. Eventually he makes it to the boundary to a house covered in snow. Inside Jonas can hear singing, and he knows that the people inside are waiting for him and Gabriel. As soon as he crosses the boundary, all the citizens of his community receive memories and feelings. The Giver by Lois Lowry is available for checkout from the Mission Viejo Library. It can also be downloaded for free from Overdrive. I thought it was really cool to read about a ceremony that commemorates age. A ceremony that gifts a special treat you weren’t allowed to have before that age. As the Giver, Jonas was able to perceive memories and view things in a different way. He was even able to lie. In the real world, we know that it’s not good to lie, but people still lie for many reasons. Another element of the story that provoked my desire to write this review was how every family composed of two children, one boy and one girl. No exceptions. But they are not genetically related to each other and not at all related to their parents. Imagine somebody else gave birth to you, but you will leave the hug of your real mom without the aroma. Then some other couple put you in a baby bed and you fell asleep. But when you wake up, the picture of the parent’s imprints their appearance in your cherubic brain forever. It’s cool to have such a unique community, but it’s also showing it’s sharp teeth at me that contains a possibility of tearing me apart. 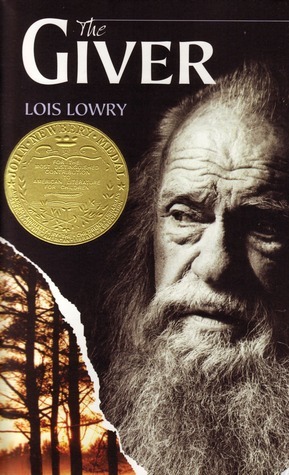 The Giver by Lois Lowry is available for checkout from the Mission Viejo Library. It is also available for download from Overdrive. Posted on November 9, 2017 by Leila S.
If I am honest, I was extremely annoyed with this book at the beginning. Flora Banks has no short term memory which means that essentially every page repeats the same information, which was extremely frustrating. I almost gave up on reading the book, but I never stop halfway when reading. I am glad I kept with it. Either Flora’s memory got better or I got used to reading repetitive information, but I enjoyed the book. The story follows Flora, a girl stuck in time. She takes an insane amount of medicine to help her memory, which she has been told is faulty because of a disease she was diagnosed with when she was 10. She has clear memories of her life before her diagnosis, but until she kissed Drake, every memory slipped her grasp. While Flora seemed to be a dependent young girl, she proved herself over and over again. Without her parents, and facing a fallout with her best friend, Flora is alone to fend for herself. And to find Drake, because if he helped Flora remember one memory, maybe he can fix her memory altogether. However, Flora has to rely on notes to herself to remember everything. So taking a trip to the Arctic Circle is not an easy task. This novel is a great selection for teens, provided that the repetition at the beginning of the novel is not too discouraging. 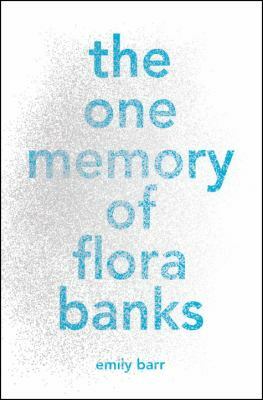 The One Memory of Flora Banks by Emily Barr is available for checkout from the Mission Viejo Library.